Here is a cardboard story. This weekend, two of the children got into my cardboard stash. This is not an infraction - the children know that they are free to use my cardboard as long as they stay away from the pieces upon which I place especial value. You know, like how you let your children use some of your "regular" fabric but not the ones that cost $59.99 a yard? Cardboard is the same. Anyway, when I found out what they were doing, I invited myself to watch them at work. This is hard for me - merely watching, I mean; cardboarding is one of those crafting scenarios which just begs socializing and cooperation. Plus, I am well aware that good cardboard, of the sort which I like to collect, requires strong hands and strong tools to cut through, both of which kids often lack, which leads to frustration and Giving Up. And giving up on cardboard is a Great Tragedy Indeed. Because while no parent with an eye toward Crafting Independence would actually rescue a child from minor cardboard setbacks, surely we would not withhold the very thing that could take them through a major roadblock and onto That Which Is More Marvelous ? After all, don't we want them to enjoy cardboard instead of loathing it for the rest of their lives (heaven forbid)? So when I started hearing "blisters!" and "thumb cramps!" and "not straight!" and "won't stay up!" I decided it was time to intervene. Out went the wimpy scissors the kids had been ineffectively wielding (perfect for, say, cereal box bendypaper but useless for the double-wall corrugated cardboard with which they'd been wrestling) and in came the omnipotent craft knife. 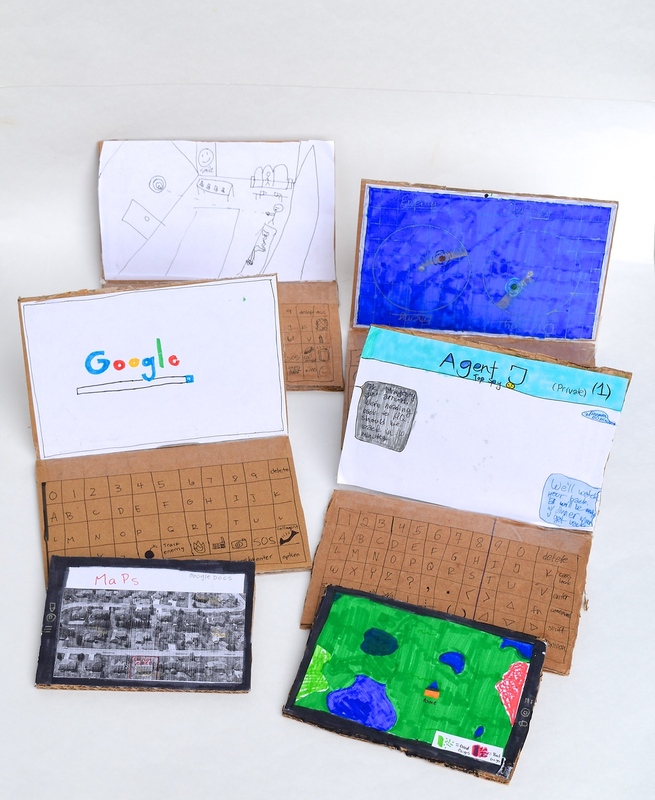 I am happy to say that the kids went on to finish their project without injury or emotional devastation, and we got to visit during, and talk about the indisputable wonders of cardboard and reminisce about the cardboard things we'd made and loved in the past. Huzzah - a truly perfect afternoon. But you want to know what the kids actually made, so let me share: it was a whole bunch of screens. Laptops and tablets, specifically. These were props for an on-going game they're playing with the neighbors, in which everyone is a spy for the same side, united against an imaginary enemy. There's surveillance and infiltration and defence and all kinds of exciting things, employed from the comfort and safety of a tree-house, thanks to long-range cardboard technology. Here is one, set to an electronic-messaging program. I wasn't sure what I thought of the "explosion" key (the children drew a bomb icon) but I suppose anyone who's watched a James Bond, Jason Bourne or Batman movie might argue that explosions are a necessary part of an undercover crime-fighter's arsenal. while this handles higher-detail, closer-range surveillance (Kate explains that this is from close-circuit camera footage). This last one is for general web-browsing, which is ostensibly how spies do their undercover research. 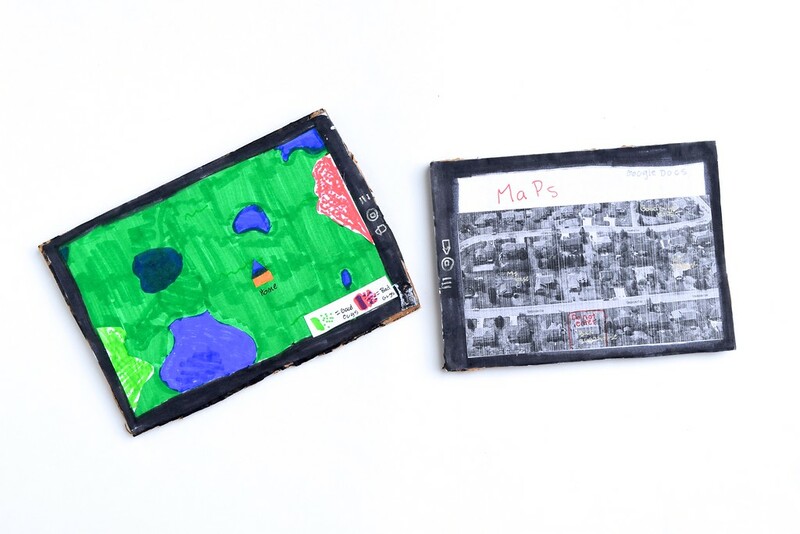 They also made a couple of tablets with an aerial satellite map and navigational GPS-thingy. Here's a back shot to show you their laptop design. 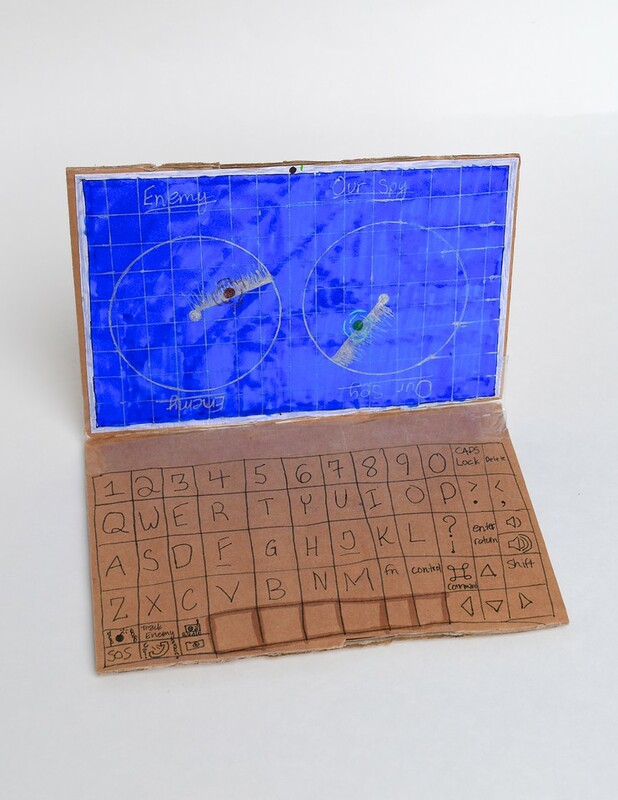 I was fascinated by the evolution of their ideas - rather than cut the laptop as a single piece of cardboard with a fold in the middle for a hinge, they cut it as two identical pieces, hinged together with clear packing tape. This, they explained, allowed the laptop to fully close without a fastener; a folded-hinged laptop would've sprung back open when they tried to shut it. A flexi-hinge laptop, however, would also not stay open by itself, so they made a photo-frame-style support at the back. 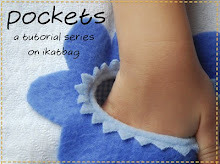 I know that many people mightn't give a hoot about why someone makes a thing in a certain way, and prefer instead just to be shown how to do it so they can make it themselves. I've always been very interested in the why, and especially in the thought process that takes the presenting challenge to the final design. And I especially love listening to my kids' thought processes and hearing them organize their ideas and hypotheses, and the way their reasoning finds logic along linear, convergent and divergent paths. I swear I can hear them growing up in just that recounting, and it makes me smile so wide. And finally, can I just say that in an age when everything is online and digital, I am SO glad that my kids still make physical toys, even if they are renderings of said digital tools? I mean, they could've used actual laptops and tablets, or plastic laptops and tablets, or even imaginary laptops and tablets. But no, they made cardboard ones instead. This is WONDERFUL. I say that both as an adult and as a former kid. It would also be cool to make a frame for the front that you could slip paper in and out of - but probably less easy to play with than a static single piece I guess. I love the whys. What's more interesting than the whys of a design? Not much if you ask me. Thanks so much for sharing this, I am just delighted. Yes! 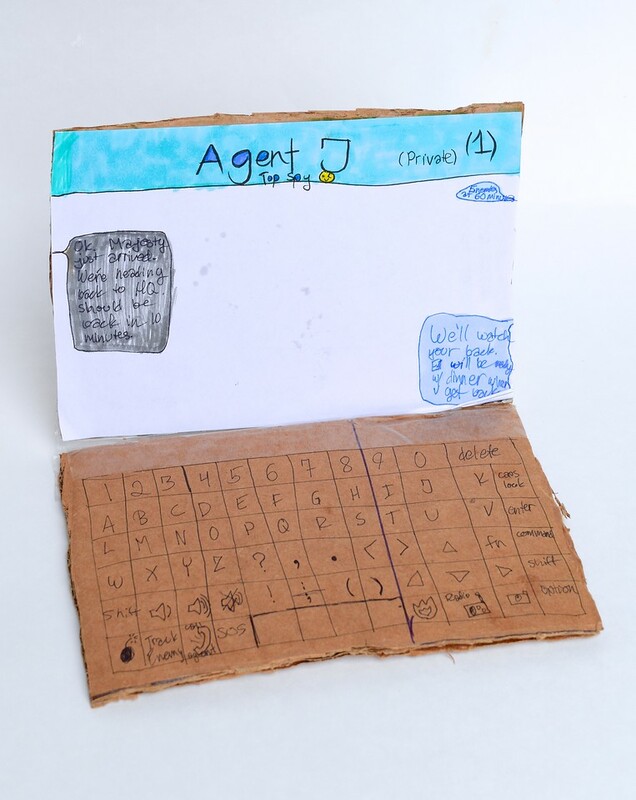 My girls made cardboard laptops once and I had to step in to get them a fun Nancy Drew graphic for the screen and a few other suggestions. I love cardboard too. I can relate to your description of the creating process that went on. 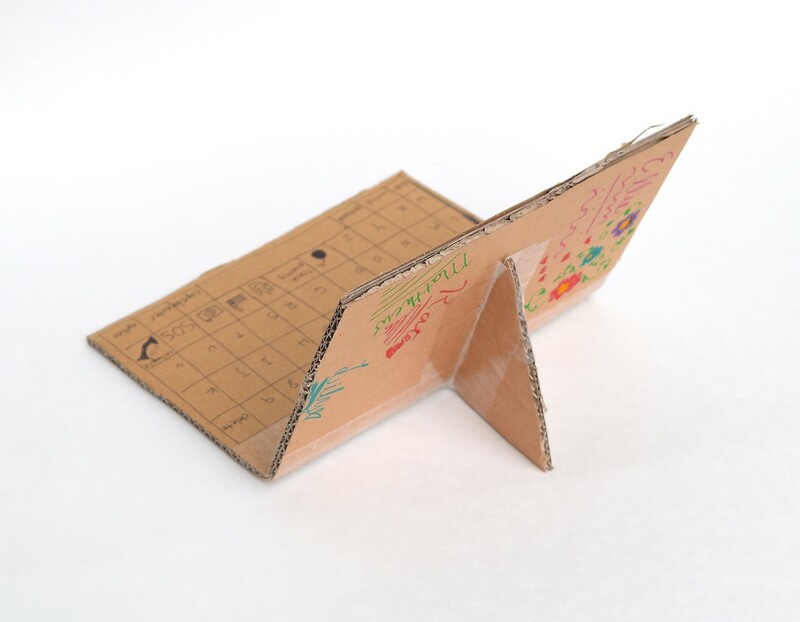 My kids have been making cardboard laptops this summer as well, although they didn't create nearly as detailed screens, or a hinge to hold it open. I love the whys of design. Different people prioritize different things, and it shows up in design process thinking. Love it! My son makes cardboard things all the time. I think this is wonderful. You should be very proud. 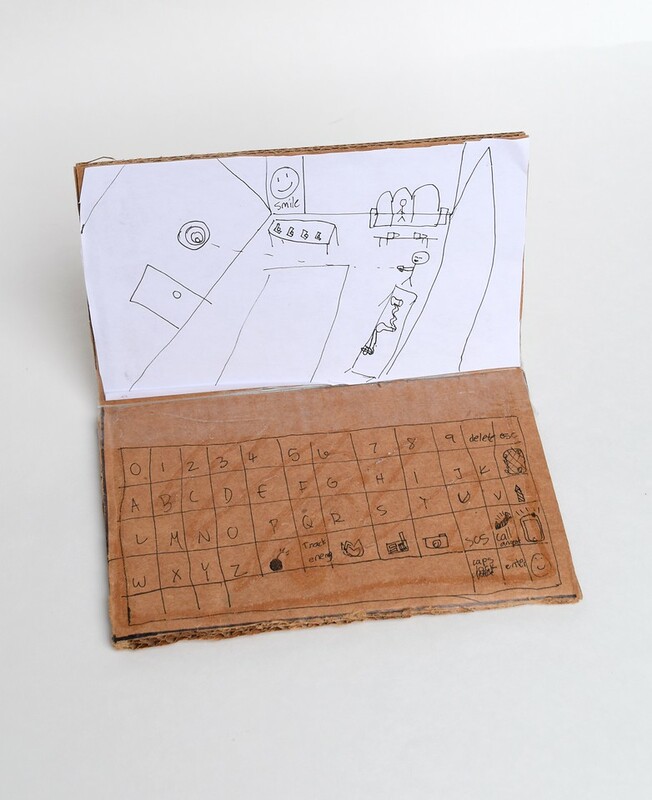 Your children are creative and imaginative and thoughtful. Real problem solvers. It's absolutely wonderful. 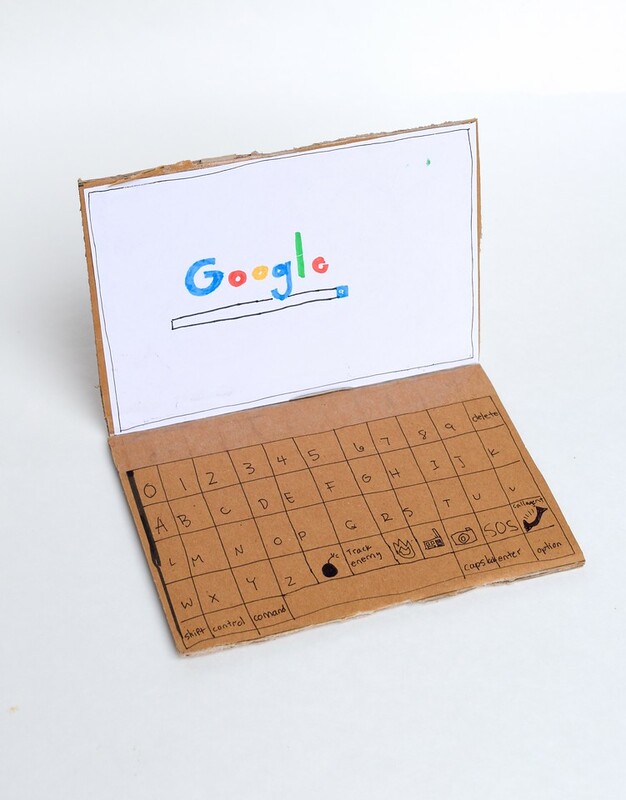 I love our kids cardboard electronics! And yours too! There is also a remote and they love to make ones from flat Legos too. Tell them I love the different screens! How can we make things if we don't make things? 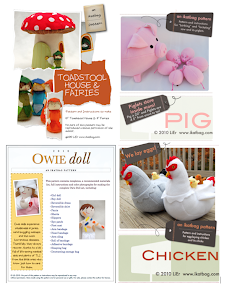 How could a kid learn to create without making stuff? I know that sounds kind of oxymoronic, but it's a dialogue my son and I have lately. His pie in the sky future thinking includes being on a design team for 'some cool tech gear', and my observation was "mock something up like you used to make in cardboard". And he laughed, and then got really quiet - "that is what they do, right? Modeling takes all sorts of material, right?" It's not all 3D printer modeling. Sometimes you need to get out the cardboard or the paper and get folding and cutting to get the physical experience of the project. Plus craft knife! My dad bought me my first real Xacto set, with the fat screwdriver-style handle. Still have it. Still use it.